You are here: Home / Family / The Northpark Santa Claus Has an Amazing Gift for Children with Special Needs! In the Dallas area, where we live, there is a Santa Claus unlike any other – the Northpark Mall Santa Claus! The “Northpark Santa” (Carl Anderson) has been performing as Santa Claus at this specific mall for going on 40 years! He’s even been featured on ABC News for his Santa skills. If you’ve ever taken your child to a mall Santa Claus you may have had to wait in a “big line” of 15-30 minutes to see Ol’ Saint Nick, but that doesn’t even begin to describe the Northpark Mall Santa line. Parents get to the mall and wait in line well before the mall opens just to try to get a ticket to come back later in the day to see Santa Claus. Meaning, parents may get to the mall at 7 in the morning, wait in a line until the mall opens at 9, then get a ticket that allows them to come back possibly at 6 pm that evening to wait in line again to see Santa! It’s like nothing you’ve ever seen! However, Santa has a special (and awesome!) gift for children with special needs….Keep reading. This guy is Santa Claus! 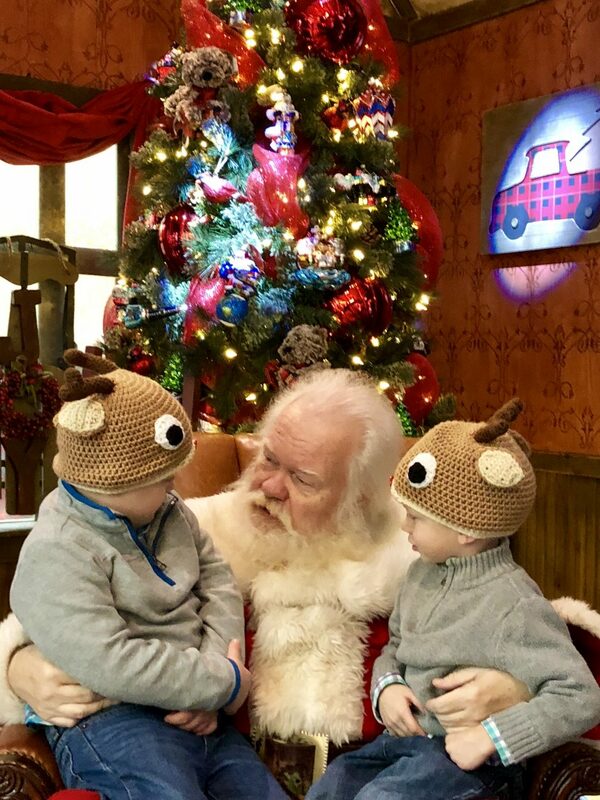 The year before last we found out that the Northpark Santa Claus has an awesome gift for children with special needs – they allow you to skip the waiting in line to get a ticket, and waiting in a long line to see Santa! 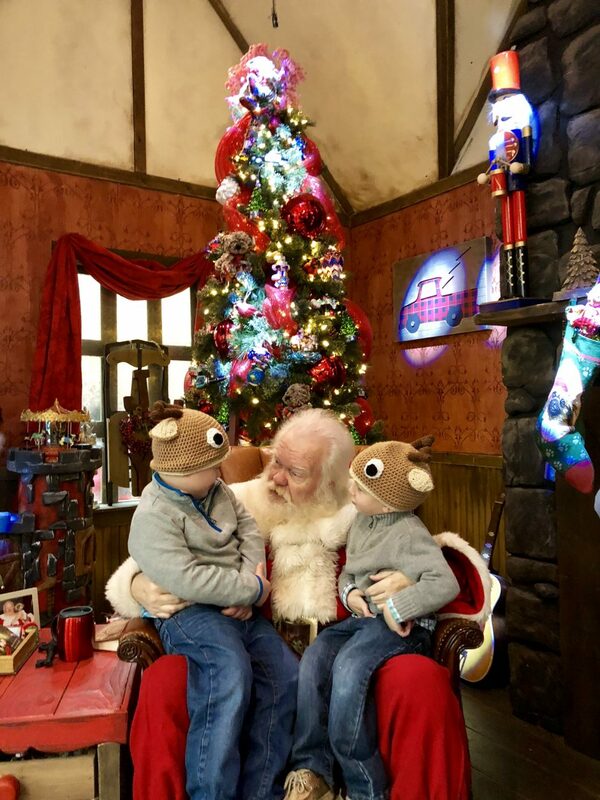 We found out a few years ago that the company that brings Santa in has a policy that allows for children with Down syndrome (and other special needs) to simply line up next to the “Santa house” and Santa’s staff will work you into the regular line! They obviously don’t have to do this, but it is such a great help to us. Noah doesn’t do great waiting in lines. 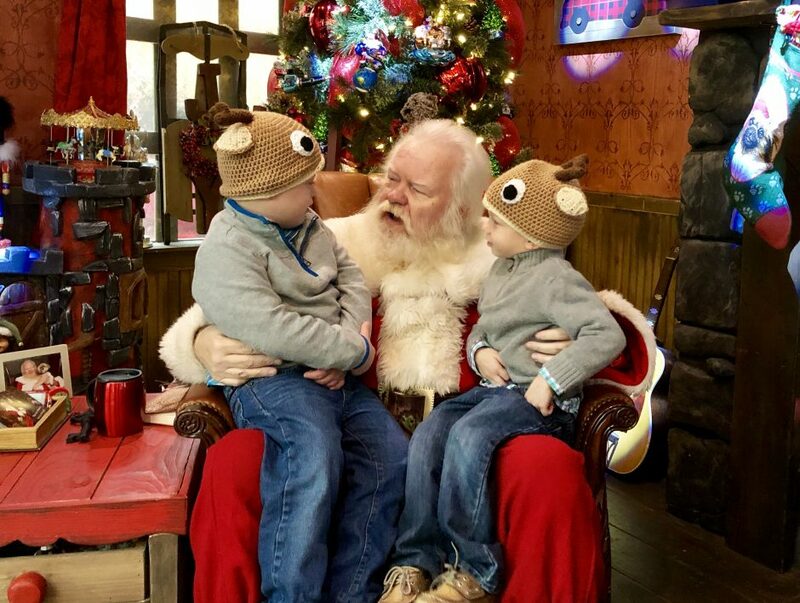 Our “little” six-year-old has poor impulse control, meaning if he sees something that grabs his attention he will run off and go toward it without listening to his parents who are probably yelling, “stop.” (Like today, for instance, when he ran into the Disney Store that was nearby Santa’s House.) So this policy allows us to get in, see Santa, buy a great picture from the company, and get out! (Oh, and to make things even more awesome, they don’t even require you to buy one of their pictures. 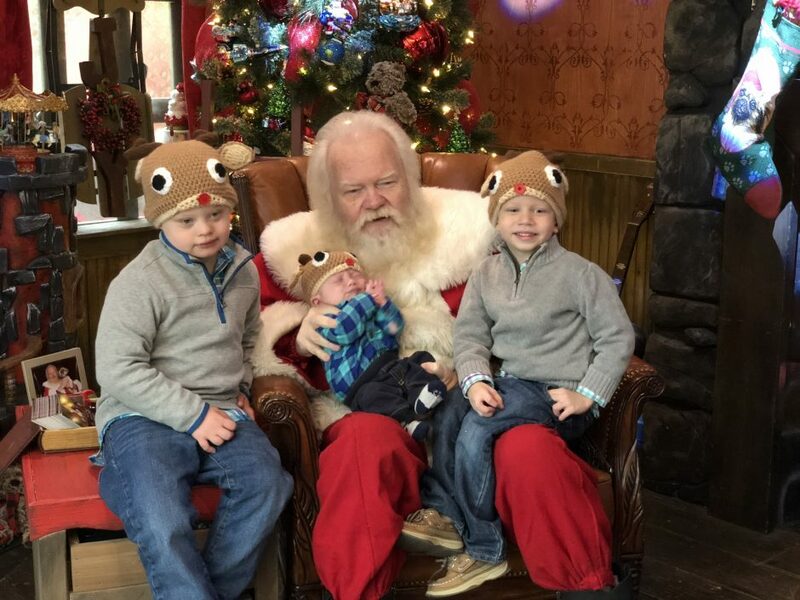 It’s totally free to see Santa, and they even allow you to use your own camera to take a picture! If you’re in the Dallas area (or one of the people driving from far away to see the Northpark Santa) be sure to ask them about this policy. You won’t see a sign anywhere about it, we found out from a staff member a few years ago. 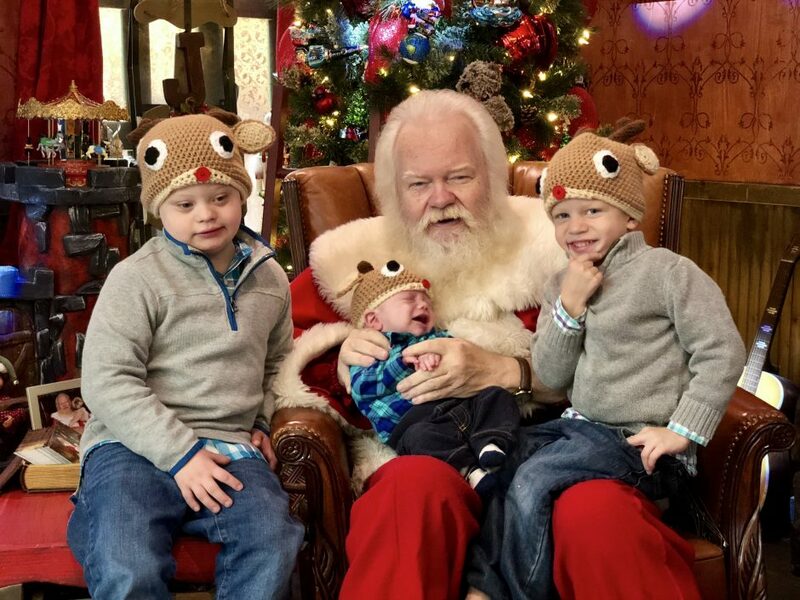 If you don’t plan on seeing the Northpark Santa and have a child with Down syndrome (or other special need) who doesn’t do well waiting in long lines, I’d encourage you to ask your local mall Santa if they similar policy – you never know! Thanks so much Norhpark Santa for the way you go out of the way to give children some Christmas magic. You can follow Northpark Santa on Instagram. 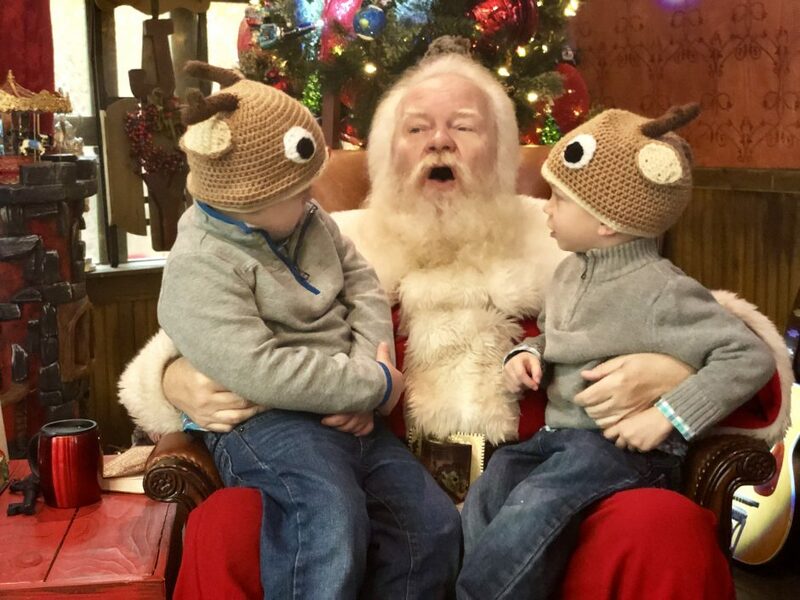 My kids are past the Santa-picture taking phase, but this is a GREAT story. It warmed my heart and watered my eyes. Thanks for the comment! How old are your children? Texas Proud- Texas Strong! That is what being a Texan is all about….helping others! I love reading this. 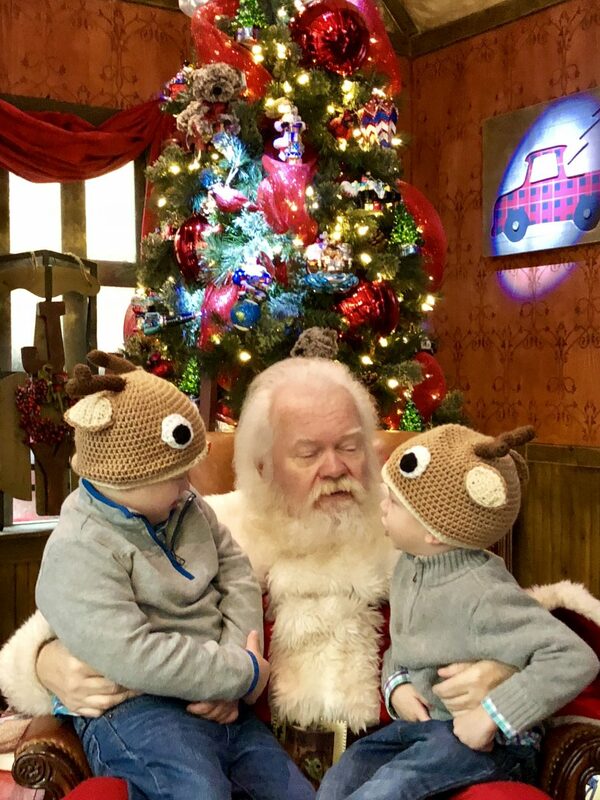 It has been many years since our kids have been Santa Age, but I just Love this so much! Thank you for much for sharing. 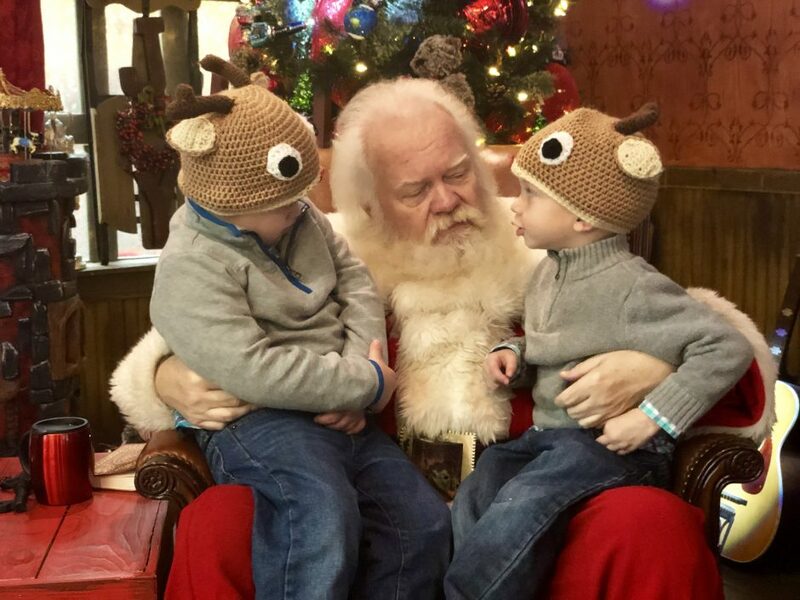 Rick what amazing story and pictures to tell Noah & Jaxten reactions.Smart mall Santa I remember going to Macys in New York waiting hours to see the real Santa.My children are grown now and my only grandchild now 9yrs sees all the Santa helpers in the malls.Macy in NY now you need a reservation. maybe they need to see this article.My friend has a 8yr. Austic son and this idea would be so great for him.I will pass this on. Your boys are beautiful. I can imagine how busy you all with three boys. Savor every moment it just goes by too fast. I miss my little boys that are all grown up now.